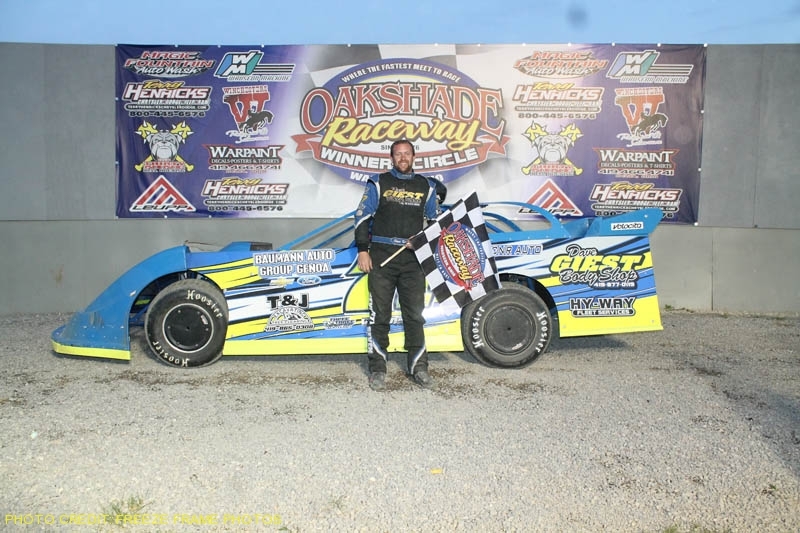 Steve Kester led flag to flag to earn his second UMP Late Model feature win of the season at Oakshade Raceway on Saturday night. Kester, out of Holland, Ohio, started on the pole of the 25-lap feature event and immediately took the lead over outside pole-sitter Matt Lindsey. 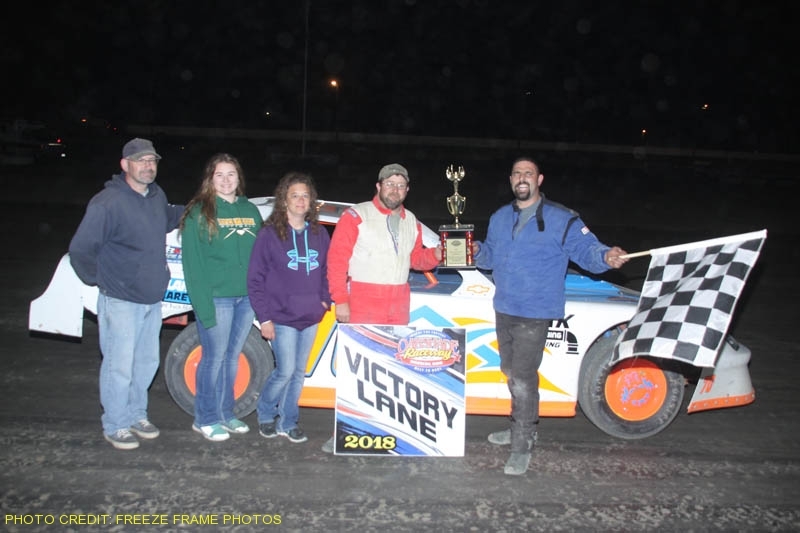 Last week’s feature winner, Rusty Schlenk, had worked his way up to the top five when he suffered a flat right rear and slowed on the track on lap 10 which brought out the yellow flag. Schlenk retired to the pits and did not return. Defending track champion Devin Shiels restarted in second and challenged Kester for the lead after the restart. The two drivers raced side by side, lap after lap until Rich Ruff slammed the backstretch wall bringing out the yellow flag again on lap 17. Shiels would slip back after the next restart as Kester went on to pick up the easy victory. Casey Noonan climbed all the way from 13th starting position to finish second. Ryan Missler took third while Shiels and Lindsey ended up fourth and fifth respectively. 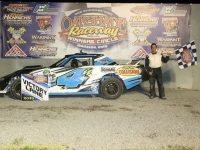 Tecumseh, Michigan’s Mathew Chapman won an exciting Bill Reckner Memorial AmeriGas UMP Sportsman feature race after starting on the pole. Like Kester, Chapman led from start to finish, but was raced hard by former track champion Mike Jessen for much of the race. 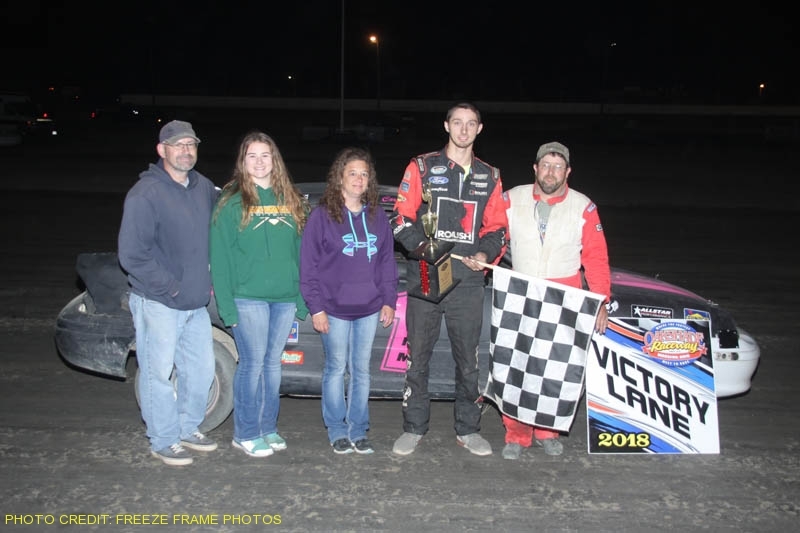 Jessen kept trying to get up alongside Chapman for the race lead, but was unable to do so and settled for a second place finish, but with three top five finishes, Jessen is on top of the point standings. Josh Robertson ran a close third most of the race and finished in that position followed by Rusty Smith and Tim Fisher. The Bill Reckner Memorial Hot Rod Welding & Engineering Bomber A Main was halted by a red flag soon after the start for Rich Riffe’s hard crash into the backstretch wall. Ryan Gorey started on the pole and led the first couple laps, but Holland, Ohio’s Jeff Foks powered by on lap three and never looked back. 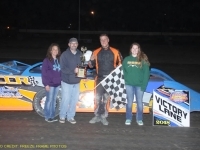 Foks went on to pick up his third consecutive Hot Rod Welding & Engineering Bomber A Main win. Donovan Paskan edged out Adam Noonan for a second place finish. 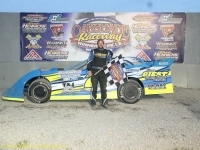 Last week’s B Main winner, Justin Gamber, finished fourth behind Noonan and Dylan Burt ended up fifth. 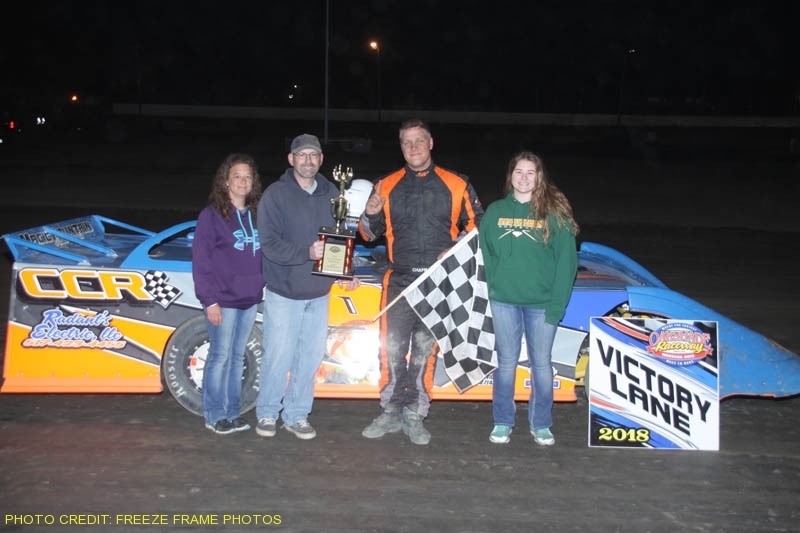 Jason Deshler didn’t come up to speed at the start of the Bill Reckner Memorial Compact feature event after starting on the pole. 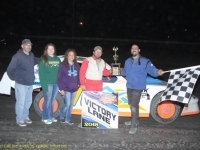 Last week’s feature winner, Cory Gumm, took advantage and darted out to the lead. 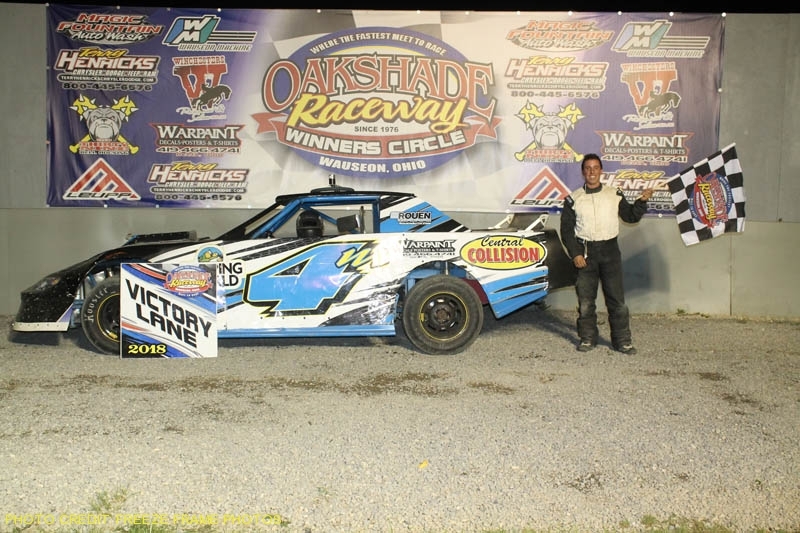 Gumm, from Hillsdale, Michigan, was the class of the field and went on to pick up his second consecutive feature win. Joe Elliot finished second followed by Rick Monohan, Cameron Tusing and Nathan Goodman. Scott Hammer led the first lap of the Hot Rod Welding & Engineering Bomber B Main, but slipped up high in turn four on the second lap which turned the lead over to Holland, Ohio’s Gabe Mueller. 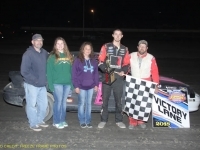 Mueller went on to pick up the feature win over Hammer, Brandon Paskan, Taylor Dippman and Brian Miller. 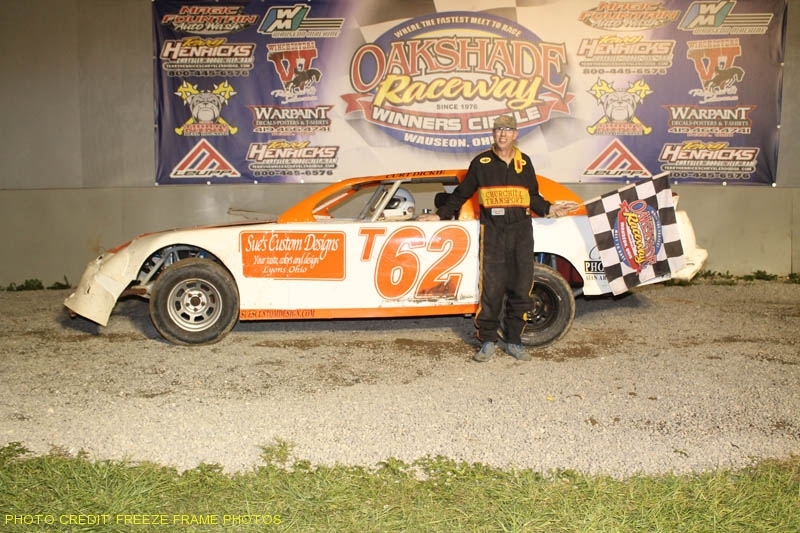 Exciting racing action at Oakshade Raceway continues this weekend with Wallace Racing Products night on Saturday, June 9, featuring a full show of UMP Late Models, AmeriGas UMP Sportsman, Hot Rod Welding & Engineering Bombers and Compacts. Gates open at 4pm, hot laps start at 6pm and racing begins at 7pm.